Bill Simmons maybe didn’t pan out as a talk show host, but HBO isn’t done with him yet. 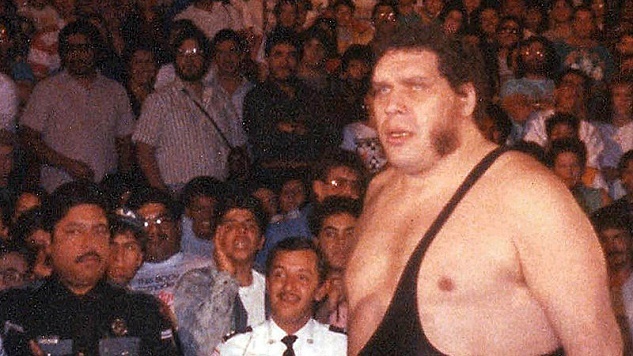 The former Sports Guy is returning to a field he’s excelled at in the past, producing documentary films, with a new look at the life of wrestling legend Andre the Giant, Variety reported today. If you weren’t a fan before the 1990s, you might know Andre best for his role in The Princess Bride. Before Hollywood, though, he was the biggest phenomenon in wrestling, with an almost 14-year undefeated streak in the WWWF/WWF. He was a massive draw throughout the 1970s and 1980s, and his heel turn against Hulk Hogan in 1987 was one of those absolutely unforgettable wrestling moments. Hogan body slamming Andre en route to pinning him cleanly in the main event of 1987’s Wrestlemania III might be the most iconic moment in modern wrestling history. Simmons, of course, spearheaded ESPN’s 30 for 30 documentary series, which, over the course of its now-80-odd installments, has been responsible for some of the best work ever made under the aegis of the sports network. The doc will be directed by Jason Hehir, who’s directed four 30 for 30 films, including the ones about Michigan’s Fab Five and the 1986 Chicago Bulls. No release date has been announced yet. 30 for 30 itself is also getting into the wrestling game, with an upcoming film about the Nature Boy himself, Ric Flair. That movie doesn’t have an air date yet, but it should debut at some point in 2017. Garrett Martin edits Paste’s wrestling, comedy and games sections. He’s on Twitter @grmartin.